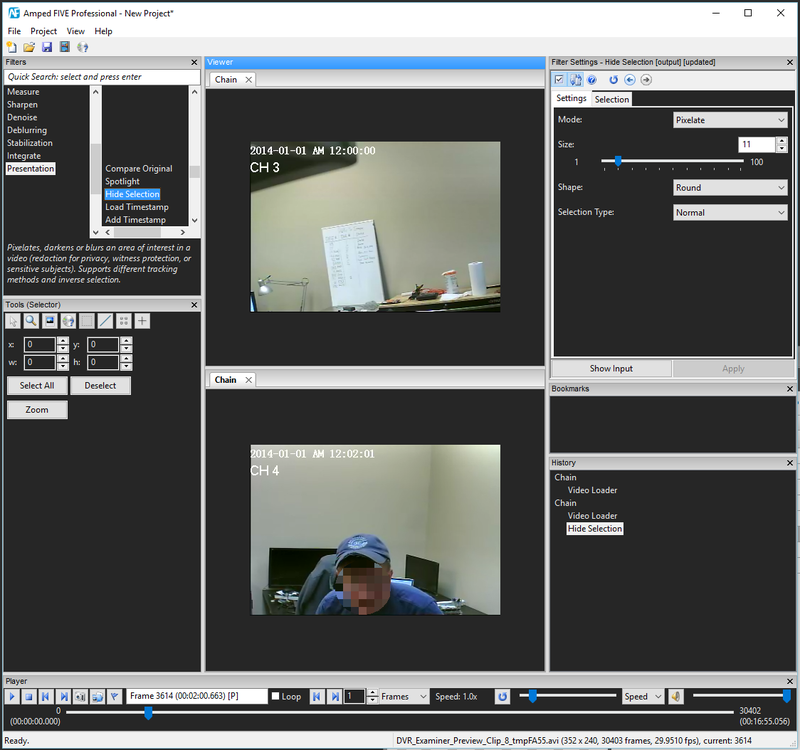 Direct Preview in Amped FIVE from the DVR HDD Application, DVR Examiner, now means a seamless workflow between the two products. Native data recovery from DVR HDD’s can be a tricky business. DVR Examiner, by DME Forensics, can take a lot of this pain away. When viewing a directly attached (write blocked) HDD, or a forensic disk image, if the file system is supported, all the clips will be viewable. Right clicking a clip brings up various options. Under Preview With.. you will now see Amped FIVE as a choice. This will load the file directly into an Amped FIVE new chain. No need to already have the software open, the link will do that for you! 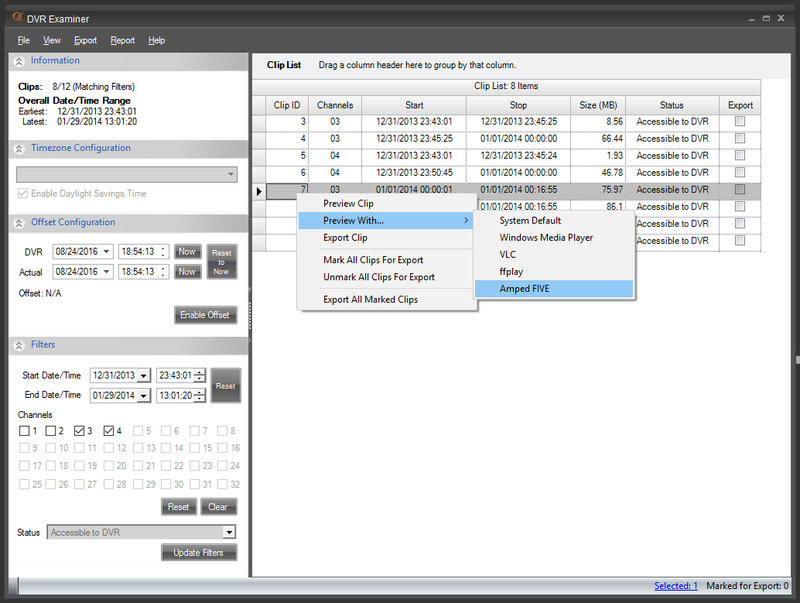 By moving back into DVR Examiner, if you previewed another clip, this would simply load into a new chain. 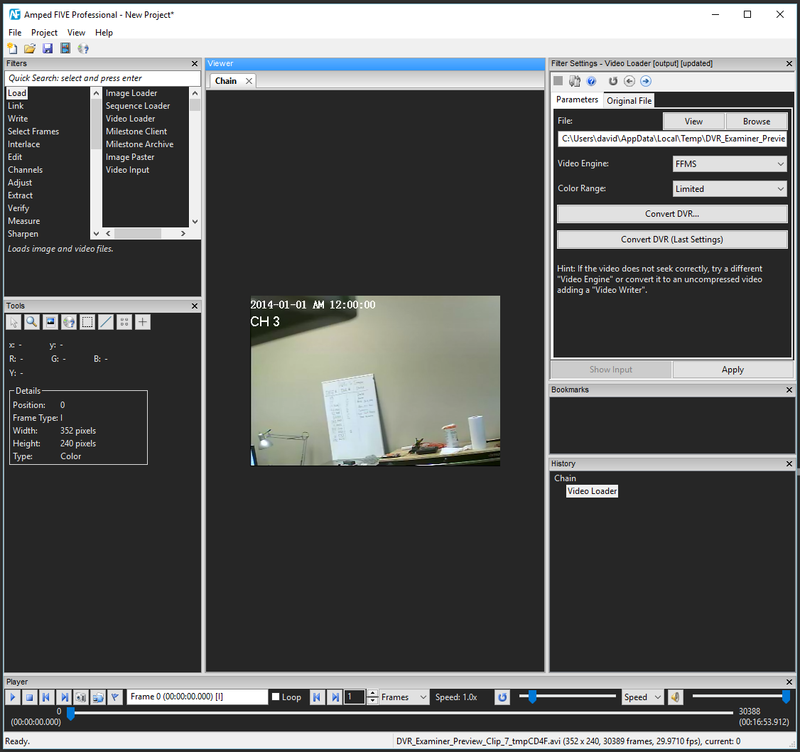 At this point, you are able to use Amped FIVE to make some notes on the video files being previewed or log some quick bookmarks. This is a first step in the seamless workflow between a forensic digital acquisition and then the analysis and enhancement. We are working together to make your job easier (and mine, remember, I’m an analyst too)! To learn more about Amped FIVE, check out the Amped FIVE pages and remember to subscribe to this blog using the link at the top of this page. This entry was posted in Announcements, FIVE, How to on August 30, 2016 by David Spreadborough.